Repubblika has submitted formally to the European Commission a complaint on the breach of European laws by the Maltese authorities that are not enforcing anti-money laundering laws in respect of persons in power. Breach of the principle of effectiveness. In February 2016, the late Daphne Caruana Galizia revealed that the Minister for Energy, Konrad Mizzi and the Chief of Staff of the Prime Minister, Keith Schembri, had each opened a secret company in Panama as well as a secret trust in New Zealand, whilst in public office. The allegations were later confirmed in the PanamaPapers that were published in April 2016 and admitted by both Mizzi and Schembri. Caruana Galizia was killed in a brutal assassination in October 2017 whilst still working on corruption investigations and amidst growing concerns over the conduct of the Police investigations, the people who ordered the murder remain unknown. Despite repeated requests in Parliament and outside calling on Prime Minister Joseph Muscat to dismiss the two from their public office, Muscat, adamantly refused and staunchly defended them. He also refused calls to launch a public inquiry in accordance with the Maltese law on public inquiries. 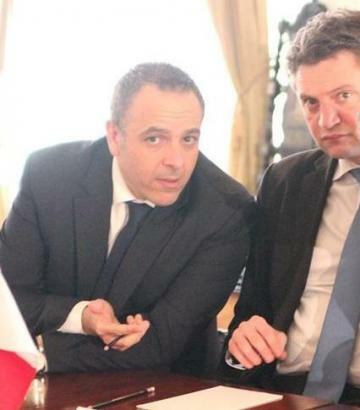 Three years on, both Mizzi and Schembri are still in office. Repeated calls on the Maltese law enforcement entities, including the Attorney General, the Commissioner of Police and the national anti-money laundering agency, the FIAU, to investigate Mizzi and Schembri on the grounds of corruption and money laundering also fell on deaf ears. Whereas the FIAU is known to have conducted some investigations leading to reports that found reasonable suspicion of money laundering on the part of both Mizzi and Schembri, the agency never followed up its investigations and the public only got to know about them when some of its reports were leaked. In the absence of any action on the part of the competent national authorities to investigate the PanamaPapers revelations, in July 2017, the then Opposition Leader, Simon Busuttil, filed a request in court calling on the court to order a magisterial inquiry in terms of the national law that allows Maltese citizens to request an inquiry on an alleged criminal offence. The request was vehemently opposed in court by the subjects concerned, including the Prime Minister, his Chief of Staff, the Energy Minister as well as the two consultants/financial intermediaries who opened the vehicles in Panama and New Zealand on behalf of Mizzi and Schembri. In April 2018, the DaphneProject, which is composed of a group of international journalists who came together to pursue the investigations of Daphne Caruana Galizia, published new emails from PanamaPapers that revealed that the purpose of the companies registered by Mizzi and Schembri in Panama was to receive monthly payments of €150,000 from two Dubai-registered companies known as 17 Black Ltd and Macbridge Ltd. Even these new revelations did not trigger any investigations by the national authorities, nor any dismissal by the Prime Minister. In July 2018, a leaked copy of a report conducted by the FIAU was published by MEP David Casa showing that the FIAU had found a reasonable suspicion of money laundering and/or proceeds of crime on the party of Konrad Mizzi over his involvement in the case revealed in PanamaPapers. Not even this revelation triggered any investigations by the national authorities or dismissals by the Prime Minister. In October 2018, the DaphneProject revealed that the owner of 17 Black was Yorgen Fenech, one of the owners of the new power station project that was the central electoral promise on which Muscat’s government was elected back in March 2013. This revelation confirmed that the Panama companies were opened by Mizzi and Schembri to receive money from one of the owners of the new power station. Incredibly, even this revelation did not trigger any investigations by the national authorities, nor any dismissal by the Prime Minister. Yorgen Fenech has not denied public reports that he had made it known both publicly and privately that the power station contract was a done deal for him before the 2013 election that saw Konrad Mizzi and Keith Schembri appointed to government. In November 2018 press reports suggested a magisterial inquiry was opened to investigate 17 Black. The Justice Minister clarified on the record the inquiry was concerned with the company but would not look into the conduct of Yorgen Fenech, Konrad Mizzi or Keith Schembri. In January 2019, after a long-drawn legal battle in court and despite all the revelations now in the public domain, Simon Busuttil’s request for a magisterial inquiry was rejected by the Court of Appeal. A separate second request to open an inquiry was also rejected a few days later. This means that even the courts in Malta are proving unwilling to open an investigation into PanamaPapers as required by law and despite Malta’s obligations under successive EU money laundering directives. February 2019: Three years since PanamaPapers, Malta has instituted no investigation or other action to ensure the proper and effective implementation of the EU anti-money laundering directive as well as its obligations under the Treaty to comply with EU law and to provide remedies sufficient to ensure effective legal protection in the fields covered by Union law. Nor has it provided an effective remedy before a tribunal as required by the EU Fundamental Rights Charter. Because of its lack of effective implementation of EU law, Malta is also in breach of the principle of effectiveness and because of its systematic refusal to investigate a manifest case of corruption and money laundering, Malta is also in breach of the EU values listed in Article 2 TEU. Meanwhile, Mizzi and Schembri are still in public office, occupying a high position of power, namely as Minister and as Chief of Staff of the Prime Minister respectively as well as members of the cabinet of Ministers. The PanamaPapers scandal in Malta is not only shocking because politicians and people in power in Malta were caught redhanded. It’s because when they were caught the institutions that have the duty to do something about it refuse to do so. This ranges from the executive branch that controls and poorly equips law enforcement agencies to the judiciary that faced by citizen claims to open inquiries did not do so. The responsibility for the judiciary’s failure may very well lie with the legislative branch that has failed to provide the judiciary with adequate laws to implement European money laundering law. The fact of the matter is what these years since the PanamaPapers leaks have shown is that no action is being taken in Malta. We cannot give up on our own institutions and indeed we intend to take further action ourselves as Repubblika to try to kick-start proper action. But in the meantime we want to point out that the Maltese State — its entire three branches of government — are failing to apply European law when faced by allegations of money laundering of politicians. When a Member State fails to implement European law, particularly provisions of the Treaty of European Union, the European Commission has the right to initiate action against that Member State. That can lead to sanctions. We are filing our complaint according to the formal complaints procedure of the European Commission to get them to start a legal process to investigate this persistent breach of European law. These laws protect Maltese citizens. All Maltese citizens need their institutions to treat everyone equally. We are not here “speaking against Malta”. We are defending Malta from a thuggish brood that is breaking its laws (because European law is Malta’s law) to get away with crime at the expense of the rest of us. When institutions fail, citizens must fight back. That’s what Repubblika is for. We have in the meantime also submitted a petition to the European Parliament on the same lines. The petition is currently undergoing vetting by the Parliament’s vetting committee. In the meantime, we’ll be preparing a petition for Maltese citizens to support our Appel to the European institutions on an individual basis. The more of us that raise their voice in protest against this delinquency, the better chance we have of ensuring that European laws written to protect us are enforced.